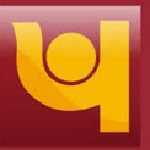 New Delhi PNB DGM recruitment 2016-17 notification apply online : Punjab National Bank (PNB) welcomes application for the position of Deputy General Manager (DGM) vacancies on contractual basis. Candidates who completed their Post- graduation is a good opportunity.The individuals who are the occupation seekers searching for govt employments in New Delhi this is the best chance to apply. Competitors read the official notification then read all the guidelines and miners precisely then apply before the last date online application got. All the interested and eligible candidates can apply before 11th July 2016. Candidates Age Limit: The age of the candidate should not be less than 45 years and should not be more than 50 years. The age of the applicant should be as on 1st January 2016. Academic qualification details: Candidates should have post – graduation in economics having monetary / financial economics / statistics / econometric as subject from an Indian / foreign university duly recognized by the government of India or other regulatory bodies. Details of Fee particulars: All the interested and eligible candidates are need to pay application fee Rs 50/- for schedule caste categories candidates (SC) / schedule tribe categories candidates (ST) / PC categories candidates / Ex-service men categories candidates and Rs 300/- for al other categories candidates through cash at any branch of Punjab National bank. Process of applying for the job: All the interested and eligible candidates can apply in prescribed application form along with copies of testimonials send to the General Manager, H.R.M.D, Punjab National bank, HO:- HRMD – 7, Bhikhaji cama place, New Delhi:- 110066 on or before 11th July 2016. Important Dates: Last date for the submission of application is 11th July 2016.